Erie plays host to a vibrant theater scene. And luckily for us, Rebecca Styn offers the skinny on what the local theaters are up to. Diversity, class and, community support feed off one another to create a theater scene that could rival some of the most deep-rooted in the nation. Great actors such as Walter Mattheau, Anne Davis, and Dom Deluise have graced the stage of the Erie Playhouse, numerous and proven Broadway plays have been hosted at the classically elegant Warner Theatre, and cutting edge works have been performed at local warehouse and building spaces. You don't have to look very far to find great talent— or great work—and there's definitely something to suit everyone's taste. This was the first time I ever had the opportunity to talk to David Mitchell, the groups artistic director. And of course, throughout our dialogue, I kept screwing up the name of his company – obviously giving a great first impression. Prior to All An Act, Mitchell ran the Erie School District theater program for 20 years. In 2004, he and Larry Lewis started their current group and have been growing ever since. "We found a space in 2008 [the old Columbus School on West 17th Street], and since then, we have been able to produce up to six or seven shows year." What is unique about this group? "We are only one of two for profit theater organizations. We don't rely on public money and everything we produce comes out of our own pockets. We also donate $1 of each ticket to Community Shelter Services, which is also housed in this facility. It's been a great run so far. We have a core of nine actors, and we've all been working together for about 13 years. Any time we get together to do a show it's like being let out to play; they are just like an extension of my own family." The Erie Playhouse is a tough act to follow-- it's one of the oldest and largest community theaters in the nation. Currently in its 94th season, the playhouse was founded in 1916 by Henry Vincent, former musical director at Chautauqua. Although the organization has called several locations home throughout the years, it ultimately found permanency in its current structure on the corner of 10th and State Streets. Unlike other theaters in the area, the playhouse boasts an ambitious 17 to 18 productions annually. According to Sue Lechner, the marketing director for the playhouse, "We try to stay on the cutting edge of 'what's new' and available to us to produce. Most people don't realize that the rights to produce musicals and plays are strictly regulated by the licensing companies. Whereas musicals like 'Les Miserable' and 'Phantom of the Opera' are available to high schools, the rights have not been released to community theaters. That said, in the past season we were fortunate to get the rights to 'Hairspray' and prior to that 'RENT.' In our upcoming season we are one of the first community theaters to secure the rights to Disney's 'Tarzan' and the final musical of our 2011-12 season is so new we are not even allowed to announce the selection until June." Doug Massey, workforce development coordinator for the Erie Regional Chamber and Growth Partnership, is very active in the local theater scene – having most recently been seen in "Dreamgirls" and "RENT" at the Playhouse. "I am originally from Chicago – a city where diversity is abound. Having been a part of the cast of 'RENT' here locally, I felt as if the production helped to break down many of the barriers found in different lifestyles –dispelling many of the myths and prejudice that surrounds them. And when we introduce social issues in a more public setting like performance art, it helps to show that we're moving towards the sense of unity throughout." Massey has been cast in many shows and musicals at the playhouse and at the Roadhouse and Director's Circle theaters when they were in existence. As for the playhouse in particular? "I find the playhouse to be very a very enlightening, positive venue. It's an organization that brings different ethnicities together – the casts I have been a part of have been very multi-cultural and amazing to work with. The organization crosses boundaries that you wouldn't normally see in other environments. Overall, I believe the local theater scene to have made milestones – but it is a work in progress. They are all definitely positive, uplifting venues. And they've made great inroads." According to David Mitchell, who is also the box office manager for the Station Dinner Theatre, "The most common misconception about the Station Dinner Theatre and Riverside Inn is that they are actually one in the same. This however, is not the case. In 2003, The Station Restaurant was the converted into a dinner theater by Paul and Rae Jean Urbanowicz. The main cast from the Riverside Inn left to come to the Station. While the Riverside Inn still has performance, it is not the same crew." The Station Dinner Theatre operates year-round and is home of the original "A Canterbury Feast," the longest running medieval dinner theater in the United States. Each meal has a theme. When the doors open, guests are greeted by the performers who serve them their meal in character. I have personally participated in these events. They are not meant for the most refined diner. You actually use your hands to eat – as there are absolutely no utensils. John Theim, a Realtor with RE/MAX and has performed in numerous plays and musicals in the area. He has also previously been part of the cast at the Station Dinner Theatre. The first time I tried to reach him, I had to leave him a voicemail. In the process of leaving the message I started yawning and made it a point of saying how rude it was of me to do that on the phone. He calls me back and first thing he says, in self-depricating style, "Love this yawning on the phone thing – I bore you even when I'm not talking to you." And that is the Theim I know. I have seen him in a few shows, worked with him on a few projects and he is most definitely one of the funnier people I have met in the course of my lifetime – his sense of humor (self-depricating or otherwise) never changes in any situation. I did ask him his own opinion of the theater scene in Erie. "Overall, I have to say, given the size of our city, the level of talent in this town is really quite impressive. 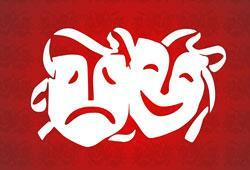 You can go to any theater within the vicinity and always find high quality productions by talented actors. I've seen productions in bigger cities and some of Erie's theaters could outperform many of them. The quality is honestly better than what you would find in many other larger cities within 200 miles from here." Currently, Theim is performing with the Riverside Inn. "The great thing about Riverside, much like the Station Dinner Theatre, is that it's wonderful just because they pay us", he says. "While that might seem funny - it is a unique aspect. All the other theaters are volunteer run. These places exist more for those that want it to be a continual part of their professional life – at least in some capacity." The Schuster Theatre, which is located on Sixth and Sassafras Streets, has the fine distinction of being one of only a few "teaching theaters" in the region. The director, Shawn Clerkin, has been part of this institution for 23 years. According to Clerkin, "We are the region's only academic program in theater. No other college or university in Erie has a full time major. Our productions are geared towards making sure the students and faculty are exposed to a wider array of programming. Many of our plays cannot be produced in other theaters – mostly because we don't rely on box office, and because we have the freedom and obligation to be an educational institution. We are only one of eight schools in the US and Canada that are participating in the upcoming Edinburgh Fringe festival. We will be touring and performing in Scotland for 12 days at the beginning of August." Although the Warner Theatre (which bears the name of the world-famous Warner Bros. who commissioned it to be built in 1929) does not produce local plays, it is home to the Erie Broadway Series, which boasts four to seven Broadway hits annually. Currently in its 31st year, the last hot ticket of the season will premier Legally Blonde on Wednesday, May 4, 2011. Diebold Perfroming Arts Center is the home to Edinboro University Theatre, which produces an annual season of plays. The Edinboro University Players, which is a student organization on campus that produces plays by the students for the enjoyment of the students and the surrounding community. For more information, call 732.1242 or join the "Edinboro University Players" group on Facebook. In my talks with all those involved in this scene – whether it's been to the directors, the managers or the actors – I've learned that there's a strong sense of community within these organizations and their walls. These individuals respect and appreciate each other for all that they are – the talent that they have - and the family they've become. The camaraderie that exists amongst them is stronger than some families I've personally met. And they have hope for something even greater than that which already exists within. And it is that which will create a stronger and brighter future for them individually and collectively, and help them continue to thrive. So when the lights go down and the curtain rises, let them bring you into their home. For all they want is for you to feel welcome – and part of their family.